Perfect for having a drink or entertaining friends, our wrought iron pub tables come in a variety of design styles from contemporary to classic to rustic. They are handcrafted by skilled artisans using centuries-old techniques. All pub tables have a variety of finish options for the iron base and you choose what top you want. Some tables have many top options, including several wood types and finishes, while others are offered with glass or copper tops. Pub tables are also commonly referred to as either Bar Height Tables or Counter Height Tables. We have categorized the two sorted by the height that works best for you. As you browse our collection below, you may click on any image to learn more about that particular table. How can I use a wrought iron bar table or counter table in my home? Wrought iron pub tables--bar tables and counter height tables are great additions to any game or rec room. These cool tables, surrounded by bar stools or shorter counter height stools depending upon your pub table height choice, are in their element when placed near a home bar or pool table. We're also seeing them more and more in eat-in kitchens. With so many beautiful and varied designs available, you need not worry about finding a table fit into your style. What sizes and shapes do a wrought iron bar tables and counter tables come in. Round is the most popular shape for bar and counter tables, while some are square or rectangular. Round tops range from 30" to 42" in diameter with a few 48" options. 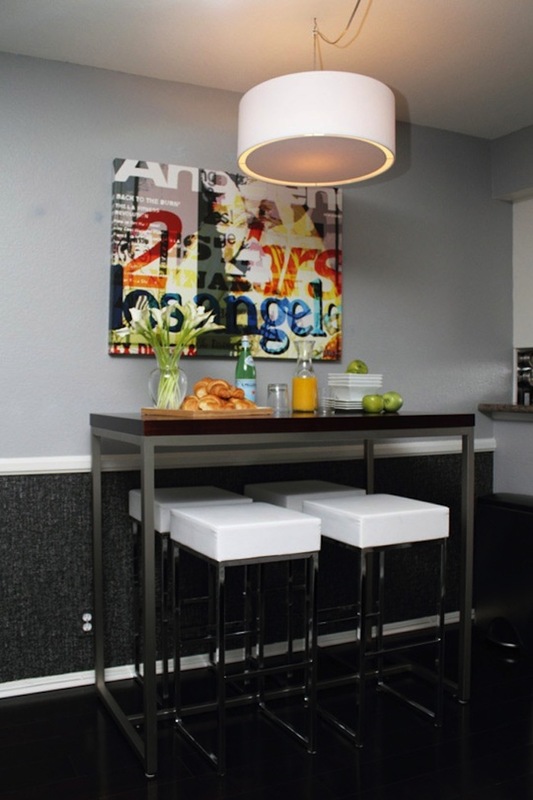 Bar tables are generally 40" high when measuring from floor to table top. Counter tables are almost always 35" to 36" tall. Square counter height tables, often called pub tables, are usually 36" high and often 36" square. What materials are your wrought iron bar tables and counter height tables made of? How do I care for my wrought iron counter table or bar table? Maintenance of our wrought iron bar tables and counter tables is easy. Simply wipe the base clean with a soft damp cloth and treat the table tops as you would any surface where food and beverages are served while considering any special needs of stone or metal. Learn more about bar tables from these blog articles written by our expert designers. 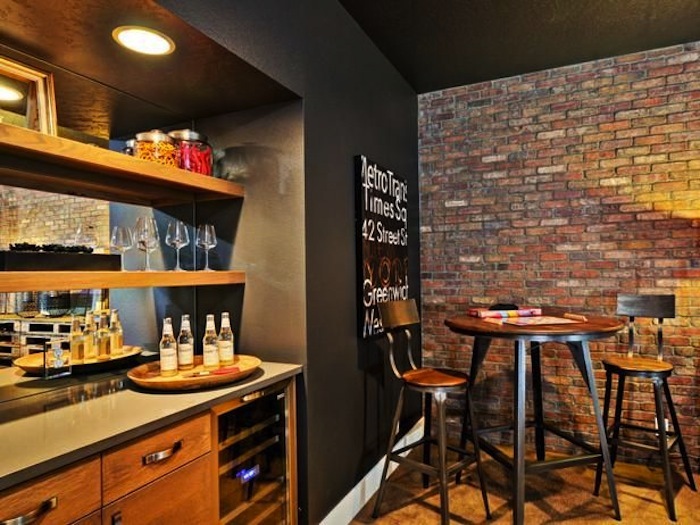 "Bachelor's Pad Bar Ideas & Tips"
Looking to add a bar to your modern bachelor pad? Explore some of the many interesting possibilities available in our "Bachelor's Pad Bar Ideas & Tips." "All About Iron Bar Tables"
Bar tables can add a just the right touch to any family or game room. We hope you'll enjoy these ideas "All About Iron Bar Tables".